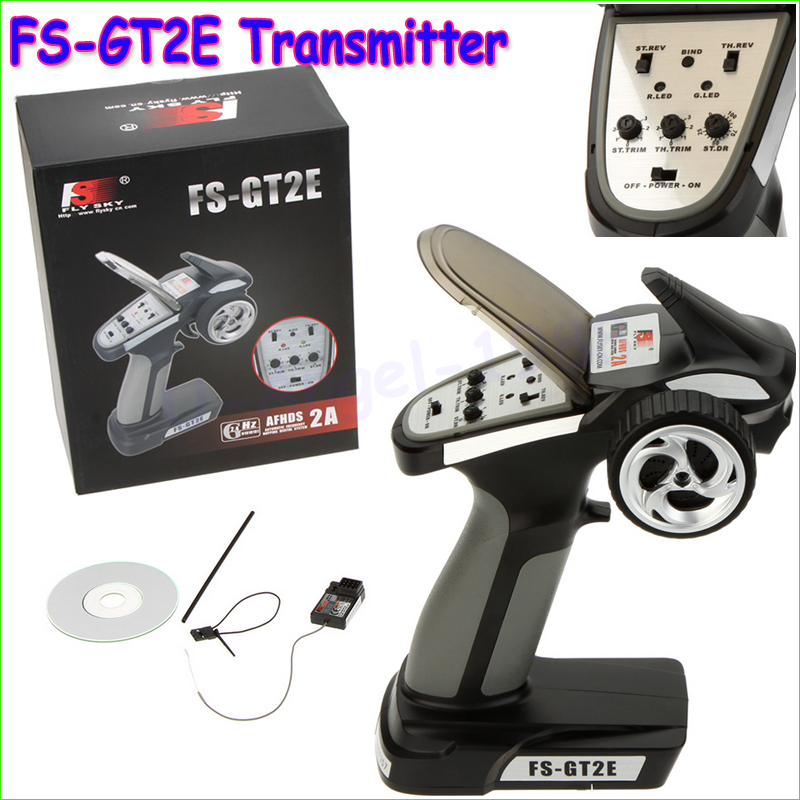 The Flysky GT2E is a affordable, 2CH 2.4G radio system, with djustable steering dual-rate and servo reversing, making it a very simple setup for your car or boat. The automatic frequency hopping digital system provides a strong, reliable 2.4ghz signal, so rest assured you’ll always be in control. Included in the package is a 3-channel mini receiver that will fit in most vehicles. The ergonomic feel of the trasnsmitter will feel good in your hands even after long track sessions. finally got after long waiting also plus 41% of duty tax in India! received. delivery fast, despite the holidays. had time to have not check. thank you. work well. buy satisfied. very good, well packed ..
Not a fast delivery, but it didn't take to long either. The box was a little dented but the remote itself showed no damage. The store sent the parcel the next day after payment I came to Novosibirsk for 12 days. checked everything, Remote working, пиндить remote does not need. Great product, low price and very reliable store recommend. Came bystro. kachestvo horoshee. receiver did not work, the store returned the money. good seller!!! I'm sorry!!! and everything is super. sovetuyu!!! Everything works, very happy with the purchase. Arrived quickly. Included CD, on which there are instructions equipment, receiver and the jumper бинда. Apparatus excellent quality wheel прорезинино, very soft. The lining is plastic, but in the hand is nice. nichego nowhere creaks trigger gas is very smooth. The receiver is very tiny, in the plastic housing with indication. podklyuchil Regula and in the way. I am very pleased with the purchase. The video on YouTube channel willowherb андреев. Delivered to final destination within 15 Days. Good Product. Works as expected.